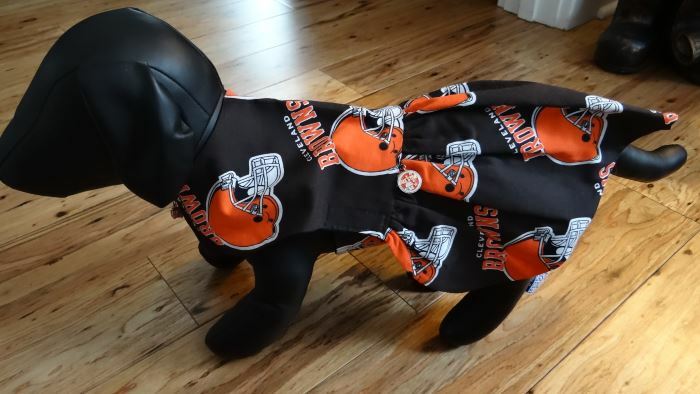 This unique Cleveland Browns Dog Sun Dress was designed by Bark Avenue Dog Boutique for the little girl puppy Cleveland Browns fan. 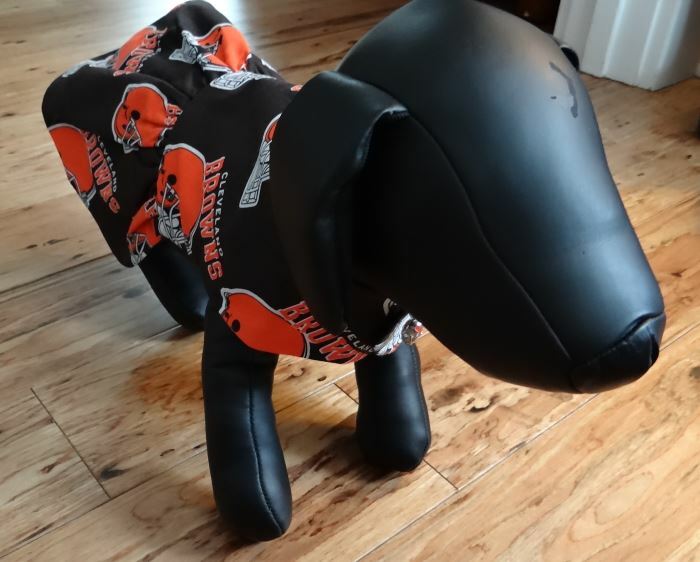 She will step out in style during game season in this one of a kind Bark Avenue Original. 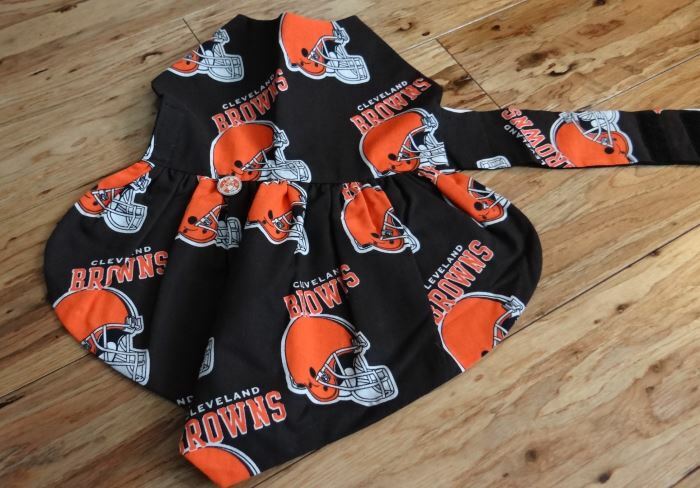 This Cleveland Browns Dog Sun Dress is a one of a kind dress you will never see another one like it anywhere. 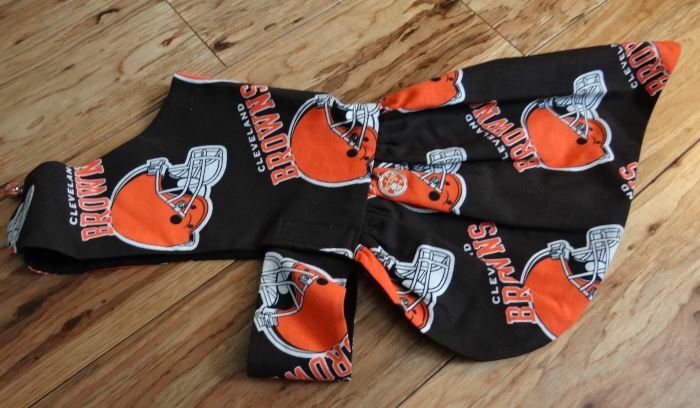 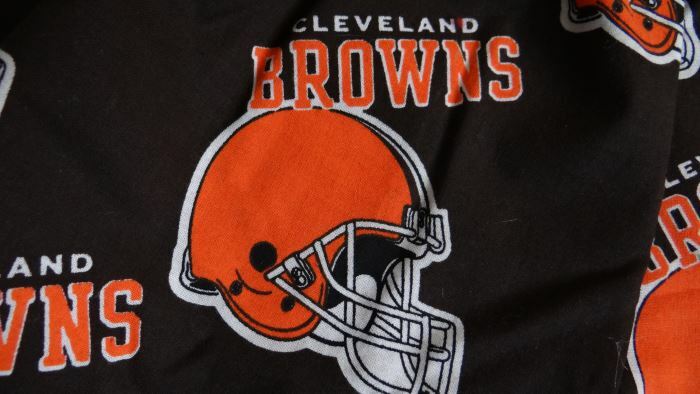 It is made of a black, orange and white cotton Cleveland Browns print fabric which features helmets and “CLEVELAND BROWNS”. 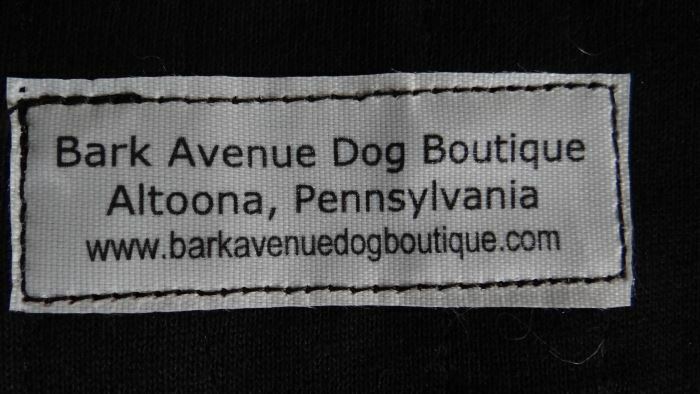 The Bark Avenue Dog Boutique labels stitched inside of the dress. 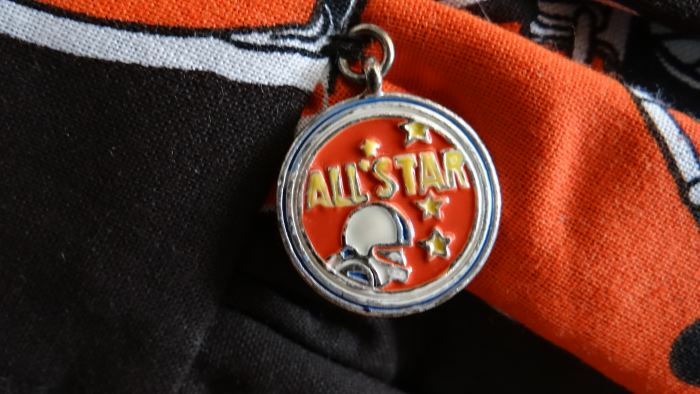 The dress was designed to have a waist which is embellished with a football related charm at the waist. 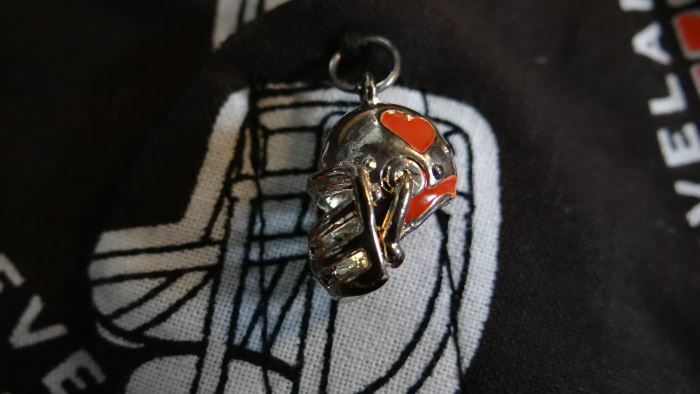 There is also a charm at the front neck of the dress. 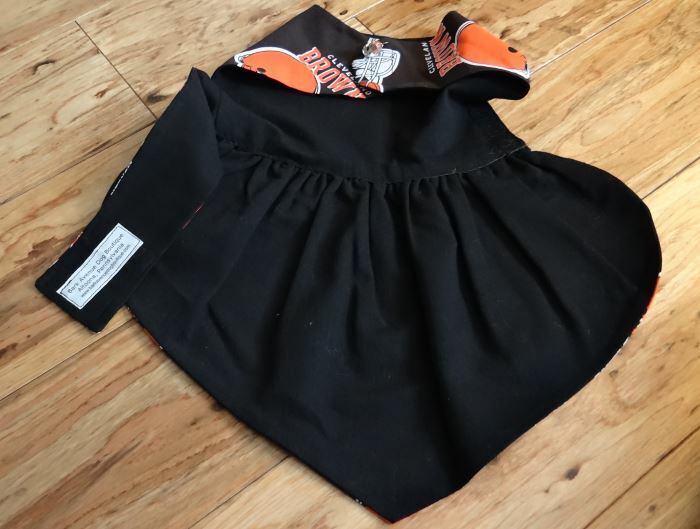 The skirt of the dress goes to a vee along the middle of the hemline. 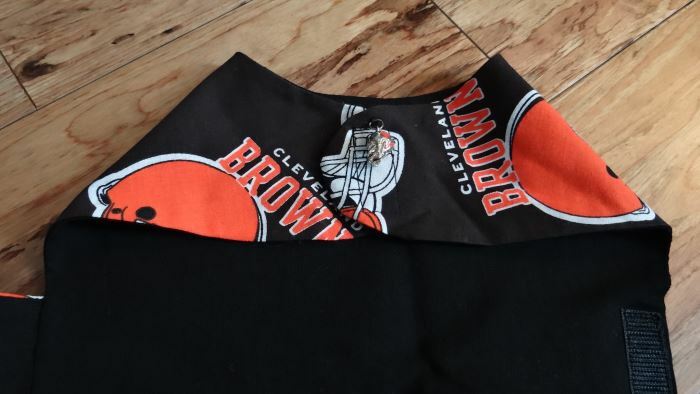 The dress velcros at the neck and tummy.